Here is another job opportunity for those who wants to try their luck working in other countries. United Kingdom, Maldives, Nigeria, Myanmar and Mozambique is currently looking for Pinoy Workers. 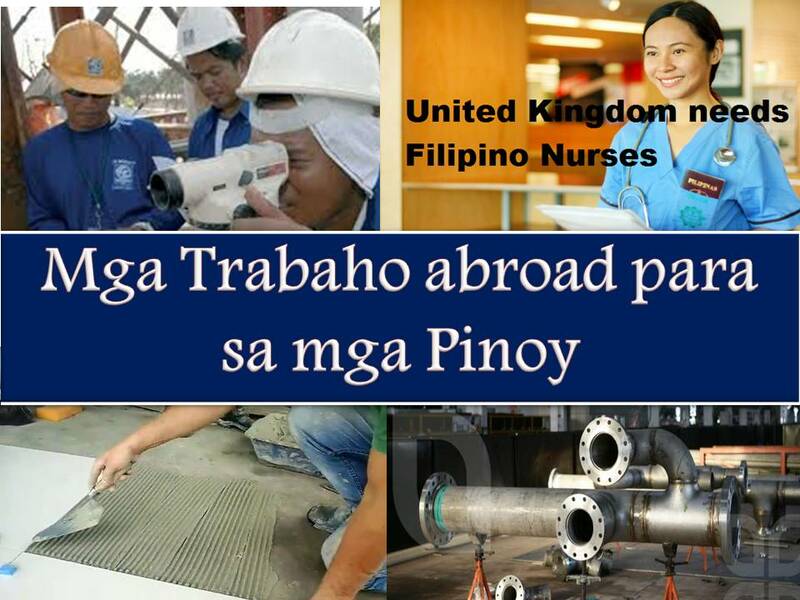 Job listing below is from the website of Philippine Overseas Employment Administration (POEA). Please be reminded that we are not a recruitment industry and we are not affiliated to any of the agencies mentioned here below. All the job orders was taken from the POEA jobs order website and was only linked to agency details for easier navigation for the visitors. Interested job applicants may inquire or apply online through the agency's website. job applicants to report to POEA any violation on the recruitment process.